As you all know, the uterus is like the powerhouse of the female anatomy. It is the part of the body which houses the ovaries, and thus the prized eggs! When fertilized, it is the home of the embryo for nine months, nourishing it through the different stages it grows, providing a conducive atmosphere for the baby, and even preparing it for birth. The job of the uterus in the life of a baby cannot be underestimated. It is this same uterus, the womb, which is responsible for ensuring that embryos with abnormal chromosomes do not implant, saving the mother-to-be lots of headache later in life. At that moment, the mom will most likely be inclined to curse her womb, rather than bless it, but then, there are numerous going-ons in our bodies that we do not know about. We only pay attention when they are not functioning as they should. Since we are talking about the womb, it’s also important to talk about the issue of womb transplant, that has been gaining some traction in the fertility scene globally, with the UK already given permission for ten women to be fitted with donated wombs, and with the US about to have its first womb transplant. And, wait for it, with this development, men too can be fitted with wombs, albeit this might come with its own complications. So, how do we take care of this all-important part of our anatomy? As a natural dietician always says, make your food your medicine, so we are going to look at super foods that ensures that the uterus is in optimal health, before conception, during pregnancy and afterwards. Because the truths, is, when one part of the body is ill, the whole body is ailing. And it is so important that my mom, who finished birthing all her children, over 27 years ago, refuses to have a hysterectomy, in spite of her fibroid, because she says she would feel incomplete. Let’s see what foods are best for the womb. And this is because; lemons are very rich in Vitamin C, which is a good immune booster. Vitamin C also works wonders for the immunity of the womb, ensuring that the uterus is able to fight off bacterial infections. This is so important because the first contact a baby has with bacteria is usually in the birth canal of its mother, and the mother’s gut health has a significant influence on the lifelong health of her baby, so this is not just for the sake of the uterus but also for the later health of the baby that uterus will carry. How do you get your dose of vitamin C from lemons? Nutritionists swear by taking a warm glass of lemon water every morning. It cleanses the whole system, from the gut all the way to the reproductive powerhouse. Apart from lemons, other fruits rich in vitamin C and bioflavonoids like mangos, pawpaw, oranges, lime, and strawberries can help in impeding the growth of fibroids in your uterus. They can also normalize estrogen levels in the body. Bioflavonoids also prevent ovarian cancer and help in keeping the reproductive system healthy. Eggs have been referred to as nature’s powerhouse, and egg yolks as the most natural multivitamin to exist on earth. Whole eggs are a nearly perfect food, with almost every essential vitamin and mineral our bodies need to function. It is one of the few natural food sources of vitamin D, and contains 7 grams of high-quality protein. 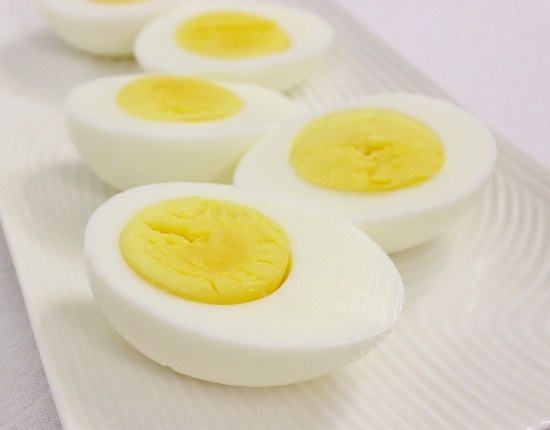 For the womb, the egg yolk has a nutrient called Choline in addition to many other nutrients. Choline protects against neural tube defects, which are birth defects of the brain, spine, or spinal cord. They happen in the first month of pregnancy, often before a woman even knows that she is pregnant. The two most common neural tube defects are spina bifida and anencephaly. In spina bifida, the fetal spinal column doesn’t close completely. There is usually nerve damage that causes at least some paralysis of the legs. In anencephaly, most of the brain and skull do not develop. With sufficient choline in the uterus before conception, you protect your baby and your uterus from any damage that may arise from carrying a child with defects. 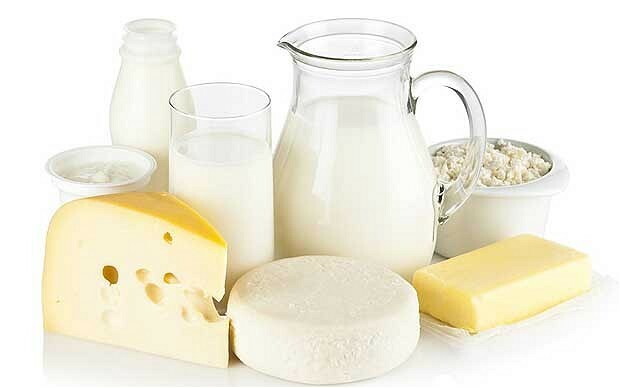 Daily consumption of dairy products like yogurt, milk and cheese is essential for optimal uterine health. They are rich in calcium and vitamin D, which keep bones healthy, and uterine fibroids away. A study by Boston University School of Medicine (BUSM) researchers at the Slone Epidemiology Center found that black women with high intake of dairy products have a reduced incidence of uterine leiomyomata (fibroids). Which is good news! However, if your system does not tolerate dairy products, then you need to get supplements to make up for the lack in your diet. One other thing to take note of is if you already have fibroids, it is best to avoid High-fat Dairy Products as it has been noticed that women with fibroid tumors, who consume high-fat dairy products such as whole milk, cream and butter grow worse. These high fat products are often high in added hormones that can feed the tumors. If you can get organic ones, even better. Well, if you are a lover of sushi, then you are in luck, as fatty fish like salmon, mackerel are sources of nutrient like Omega-3 fatty acids, which balance the production of prostaglandin, an hormone, which causes severe contractions of the womb, at different times, during a woman’s cycle. 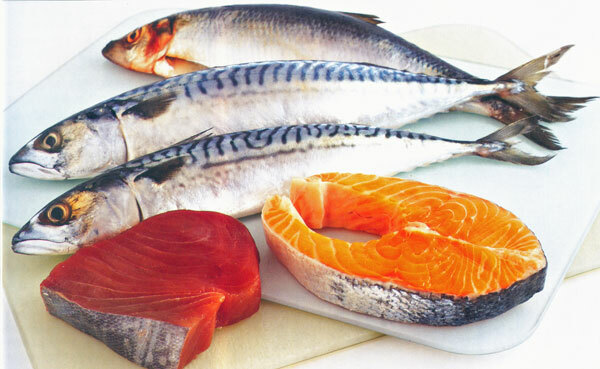 These Omega-3 fatty acids also provide the womb with healthy fats that keep it healthy. Omega-3 acids have been shown to help fertility by helping to regulate hormones in the body, increase cervical mucous, promote ovulation and overall improvement of the quality of the uterus, by increasing the blood flow to the reproductive organs. So, now, you have more reasons to indulge in Asian cuisine, if you can stand the taste of raw fish. Otherwise, go for supplements and eat the fish cooked, you might not get as much nutrient as when you eat it raw, but you are still getting something. Flax oil and fish oil like cod liver oil are rich sources of in Omega-3 fatty acids. Green tea is filled with antioxidants. They don’t just help maintain a healthy uterus, but can also treat fibroids in the uterus. According to herbal specialists, women with uterine fibroids should drink green tea regularly for around 8 weeks. This will help in the reduction of the number of fibroids. Green tea, here we come. Now, armed with this, knowledge, we can prepare our body (womb) appropriately for conception, pregnancy and even afterwards. Thank you for this piece Kemi. I have been confused for a long time as i have read certain articles that claim diary foods reduces fertility. Hello Sonia, it’s good to take at least RDA of dairy products daily as a way to prevent the growth of fibroids and for uterine health. However, once there is a diagnosis of fibroid tumour, it is best to avoid as the tumour can feed off the properties of dairy products, unless they are in their most natural state without additives. So do u advise women with fibroids to consume dairy products? Not at all, Sonia. And that’s an excellent observation. Whilst dairy products might be considered a super food for the uterus by some, the fact still remains that, especially for women with estrogen dominance (which is what most women with fibroids have), dairy products can elevate estrogen levels even further, as they contain a high amount of saturated fat. So, the answer to your question would be no.